Mother’s Day is just around the corner. What better way to tell Mom how you feel than homemade iced sugar cookies? This recipe is the one I used on the Food Network Holiday Baking Championship and let’s just say, they were very, very well received. 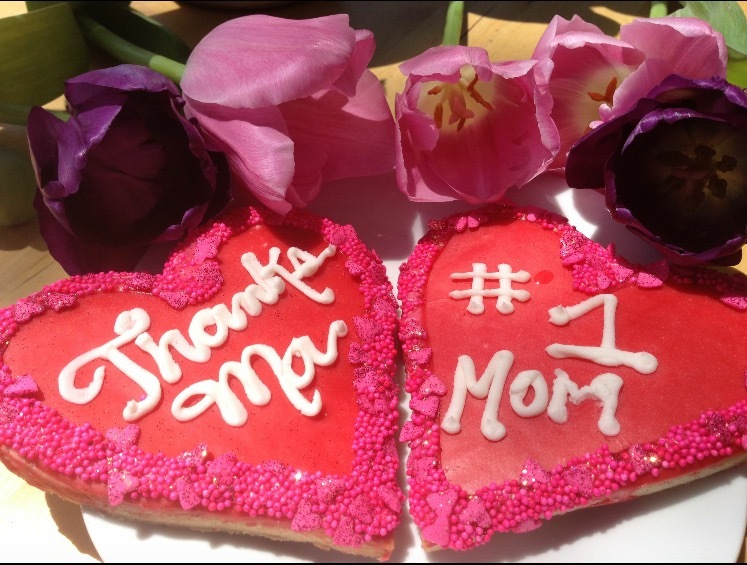 For Mother’s Day, or any special holiday, simply add some food coloring, themed sprinkles and a special message from your heart. Step #4: Add vanilla and and water – mix until combined. DO NOT OVER MIX!